Summerbowl. Right now I’m back on the track and trying to work out a lot. Luckily, one of my best friends and running partner moved around the corner and we can do if more often together. Before we’ve been working out a lot too but no one of us needs to take a bicycle anymore. So glad! Working out is a great change of work and university. The only one point I’d need to change is my nutrition. I love eat well and a lot! However, I try to eat balanced but whenever I crave some carbs in the evening I don’t care. In my last Go On entry I’ve already told you more about my breakfast habits. 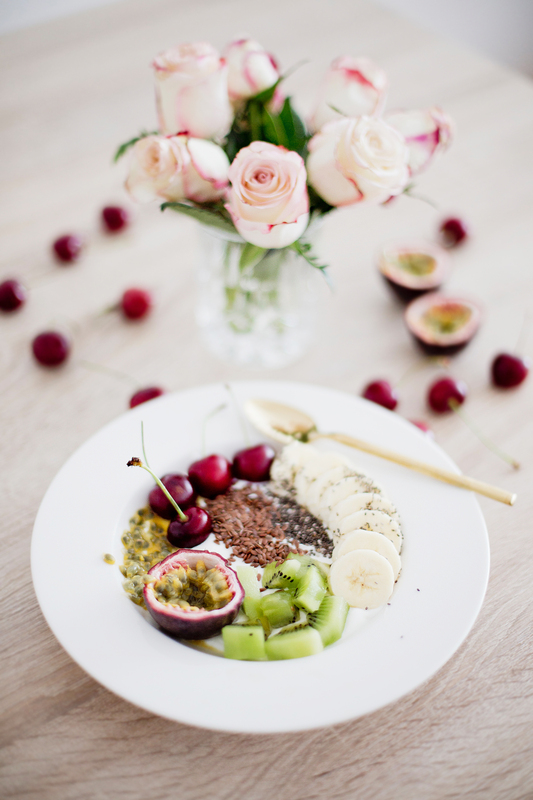 Today I’m showing you one of great meal for your healthy mornings. Since a couple of months I’m eating less dairy. I tend a lot replace milk with vegetable alternatives like almond drinks, coconutwater or -drinks. After all these years drinking milk they’re great alternative taste-wise too. My spelt flakes taste so good with a delicious almond milk. A vegetable curd alternative (e.g. 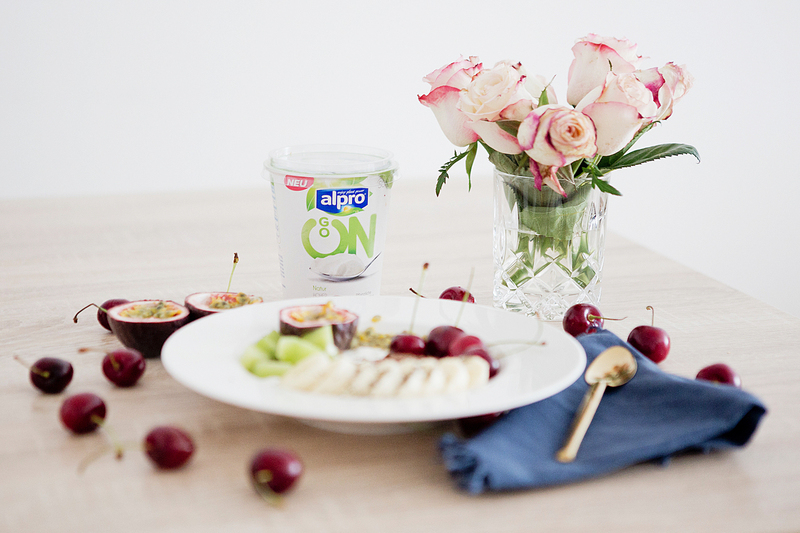 the new Alpro Go On) is essential for my breakfasts. Its healthy and boots your body. Especially when you’re working out a lot. 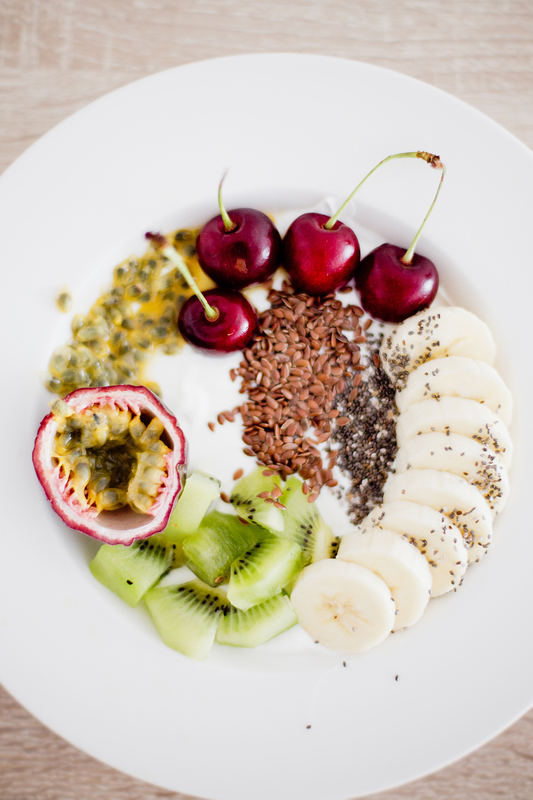 Usually I add chia seeds or linseeds, other seeds or nuts. As topping just take any fruit your want. I’ve realised that this combination works pretty well. 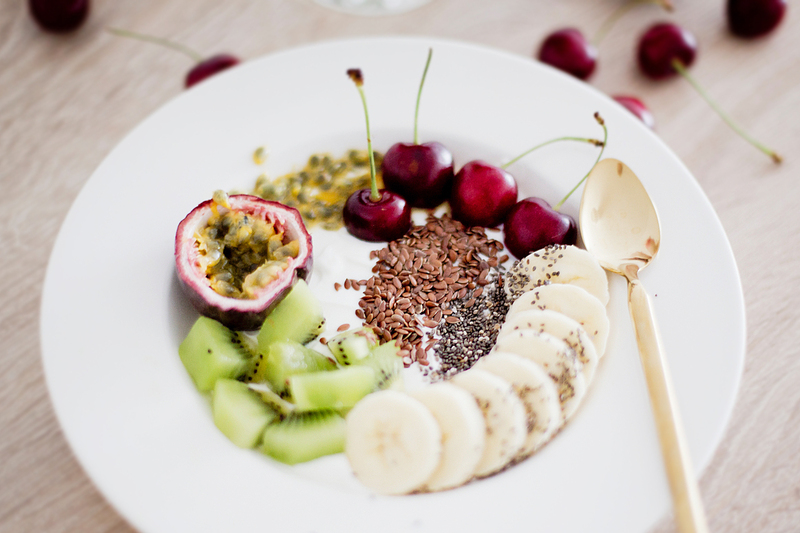 The fresh cherries sweeten the vegetable curd alternative, the passion fruit and kiwi give it some acid and bananas balance it all out with their creamy consistence. *brought to you with Alpro – thank you! This is GORGEOUS! 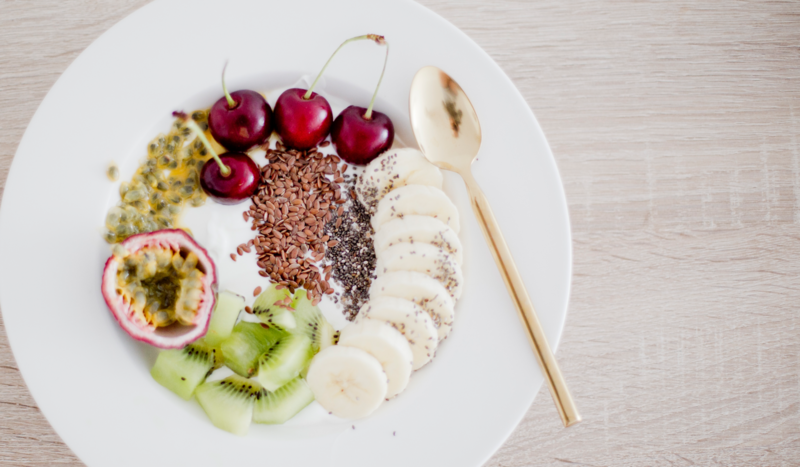 I’m usually a smoothie girl for breakfast, but this has all the stuff I love and is certainly prettier to look at than a smoothie (haha)–can’t wait to give it a try! xo! Super lecker & super Bilder !